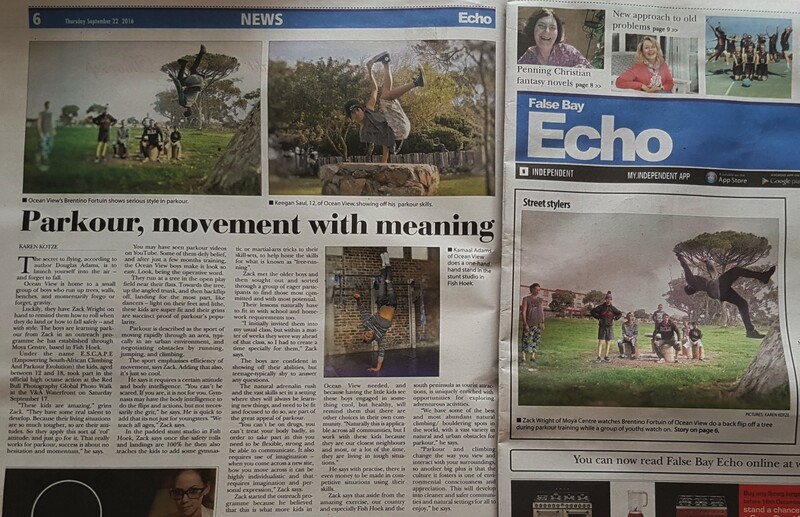 The ESCAPE crew made it into two of their local papers recently, which was a great way to increase awareness of their cause and what parkour is all about. They have also been discussed on two radio stations; Cape Talk with John Maytham & CCFM. Look out for them on SABC T.V. as they are featured in the “Beautiful News” segments from November ! Previous Previous post: E.S.C.A.P.E. accomplishments..